Welcome to the Kia of Des Moines auto service department! Our experienced and trained technicians are standing by, ready to work on your Kia vehicle and handle all necessary auto maintenance. We proudly serve drivers in Urbandale and Clive, taking care of everything from routine maintenance like oil changes, to unexpected repairs like new tire installations. Our fully-equipped state-of-the-art auto service center allows our experienced technicians to provide the best auto repairs and service possible. We do offer service discounts and parts specials that change frequently. Click here to see our current offerings, and be sure to check back to see each month’s special deal. We strive to ensure our service center is family-friendly and welcoming for all visitors. When you arrive for your scheduled service appointment, enjoy complimentary bottled water or coffee. We also provide free Wi-Fi, so you can easily get work done or let the kids play on their devices while waiting for your vehicle. If you’re due for an oil change or need to schedule maintenance, schedule your service appointment online today. Our staff will be in touch with you to confirm your appointment. 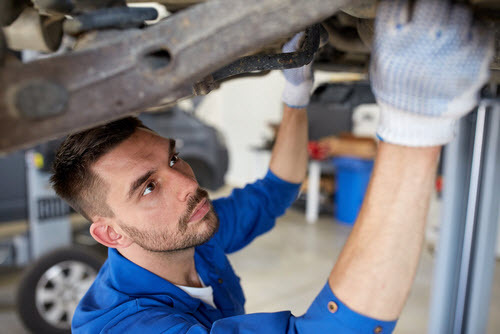 When service is done, it will be tracked in a comprehensive auto service log, so you always know what repairs were completed and what the date of the repair was. We install genuine Kia parts for every Kia model. This protects the warranty and resale value, and ensures the car maintains high performance levels as you drive. Contact our parts department with any questions about Kia parts engineered for your vehicle. If it’s deemed that repairs or service may keep your car on the sideline for a few days, get in touch with our staff about our loaner vehicles. This way, our team can patiently work through any necessary repairs, and you can get on the road and back to daily life with minimal interruption. Once done, just drop off the loaner vehicle, pick up your car, and get on your way! Once driving a car off the lot, it’s important to take care of it as the years go on. 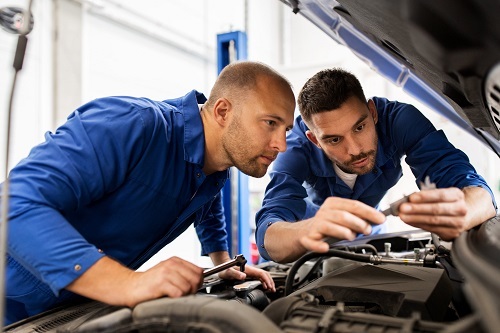 At Kia of Des Moines, our experienced technicians provide complete vehicle maintenance for drivers in Urbandale and Clive. Contact us today or schedule service online!